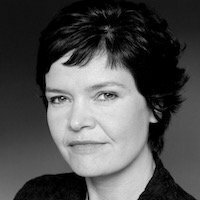 Kate Raworth is an economist dedicated to making economics fit for the 21st century. Her book Doughnut Economics: seven ways to think like a 21st century economist is an international bestseller that has been translated into 15 languages, and it was long-listed for the 2017 Financial Times & McKinsey Business Book of the Year award. She teaches at Oxford University’s Environmental Change Institute, and is an advisor to the Global Challenges programme of the Stockholm School of Economics and to the Centre for the Understanding of Sustainable Prosperity at the University of Surrey. Over the past two decades Kate has worked as Senior Researcher at Oxfam, as economist and co-author of the UN’s Human Development Report, and as a Fellow of the Overseas Development Institute based in the villages of Zanzibar. She holds a BA and MSc from Oxford University and an honorary doctorate from Business School Lausanne.